Get signed up today to be added to the phenomenal roster of dancers!!! Founded in 2005 by Ms. Tee, Studio T believes in the power of DANCE and using the arts to build confidence, bring hope, and open doors of opportunity in the lives of their youth and families. From dance to practical life workshops, the studio offer programs to build and empower. Capital Dance Project has come a long way since their inception in 2015, but one thing remains the same - they produce passionate and innovative dance performances supported by their fantastic community. Street Vybz was created to spread knowledge and share a passion for authentic Jamaican dancehall from the basics to the new steps. It consists of multiple Jamaican Dancehall styles including mid-school, new school, dancehall queen and badman style. It’s all about FEELING!!! Created in the streets of Kingston Jamaica, Dancehall is centered around self expression and the roots stem from Jamaican culture. Come catch di vybz straight from the streets of Jamaica. Choreographer, Jaimee Elliott, discovered her passion for dancehall in the clubs in Los Angeles in 2009. “Showing out” with her Belizean and African friends, they would take over and lead the dance in the club scene. Because dancehall is a street dance this was the perfect foundation for her journey to become a dancehall dancer. Prior to discovering dancehall, Jaimee had trained in modern, jazz, ballet, hip hop, belly dancing, salsa as well as cheerleading. Since then Jaimee has traveled the world train in afro and dancehall camps and going to Jamaica multiple times to learn directly from the source, training with multiple Jamaican dance crews. Her passion for dancehall is what drives her to spread this style to everyone. Ignite Dance Academy at River City Christian (formerly The Dance Studio at First Covenant Church) was born out of a desire to encourage children and adults to enjoy the art of dance and develop their gifts in this area. Ignite Dance Academy is dedicated to maintaining high standards of technical performance in a wholesome environment while making classes fun. Whether or not a student chooses to continue to dance, we believe that the benefits can enrich their whole life. This traditional South Indian Dance School offers classes for all ages 5 and up! Located in Rocklin, Nataraja Natyalaya demonstrates their mastery of Bharatanatyam and Kuchipudi forms of Indian classical Dance., preserving the traditional essence of Indian classical dance. Deane Dance Center and Sac Civic Ballet were founded by Barbara Crockett (founder of the Sacramento Ballet) and her daughter and son-in-law, San Francisco Ballet dancers Allyson Deane and Don Schwennesen. Ms. Crockett's 70+ year legacy is continued in Deane Dance Center by producing dancers with sublime technique, work ethic, compassion and professional standards. Since 1994, the school has won many nationally recognized awards, including our most recent award from Regional Dance America/Pacific (RDA/P) for an original choreographed ballet. The Blyuerose Dance Project is a community based dance project, changing the world...one dancer at a time! As part of the Soul of Dance Art Ensemble, Fresh Meadow Dance Troupe was founded in August 2014 in Sacramento to teach girls how to perform Chinese Classical Dance and to introduce traditional Chinese Culture. Lei Yang, is a nationally renowned artistic director, choreographer and regisseur. He has won numerous awards including first and second place awards at municipal, provincial, and national levels. Lei was invited as guest artistic director of Fresh Meadow Dance Troupe during his tour in the U. S. A., during which he instructed students’ dance performances on California’s National Day. Lei Yang is an ambassador of carrying forward Chinese culture and enriching the cultural life of people in the greater Sacramento area. Tina B., once named a Hub Magazine Exceptional Woman of Color, is tireless in her efforts to help the Sacramento community of all shapes, sizes, and ages get up and moving! Her Soul Line Dance class sets line dances to irresistible classic Motown beats that make you forget you're exercising, as you dance your way to better health. And her Soul Line Dancers demonstration team are fixtures at many local fairs, festivals, and events! 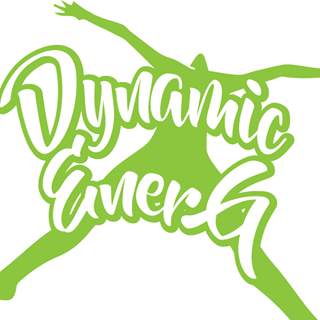 Under the direction of Nicole Manker, Dynamic EnerG focuses on artivism, using the arts to enact social change. Nicole’s teaching background includes an assortment of dance styles, including modern, hip-hop, tap, jazz, ballet, and African diasporic aesthetics. Nicole is in the process of becoming a Certified Dunham Instructor through the Institute of Dunham Technique Certification Board. Honor Kung Fu Academy is an extension of the Greatest Zhong Hua WuShu School in Shandong Province, "The Martial Arts Hometown" of China. Following WuShu's lineage, Honor Kung Fu Academy teaches both modern and traditional Kung Fu. Their masters have gone through decades of rigorous skills training to promote WuShu skill mastery, courage and confidence to WuShu practitioners of all ages. Sam Williams has been a theatre professor at American River College for the past 20 years. He has performed in Best of Broadway, Broadway at Sierra, and many American River College productions. Sam praises the Lord Jesus for giving him the talent and opportunities to sing, dance, and act in the performing arts. Jesse Davis has been a part of the Sacramento, California community all his life. He began pop locking and street dancing approximately 40 years ago. He wants to encourage youth to engage in positive activities that influence positive attitudes and to inspire role models to carry on the tradition of "Street Dancing", and the respect and love for self and community.